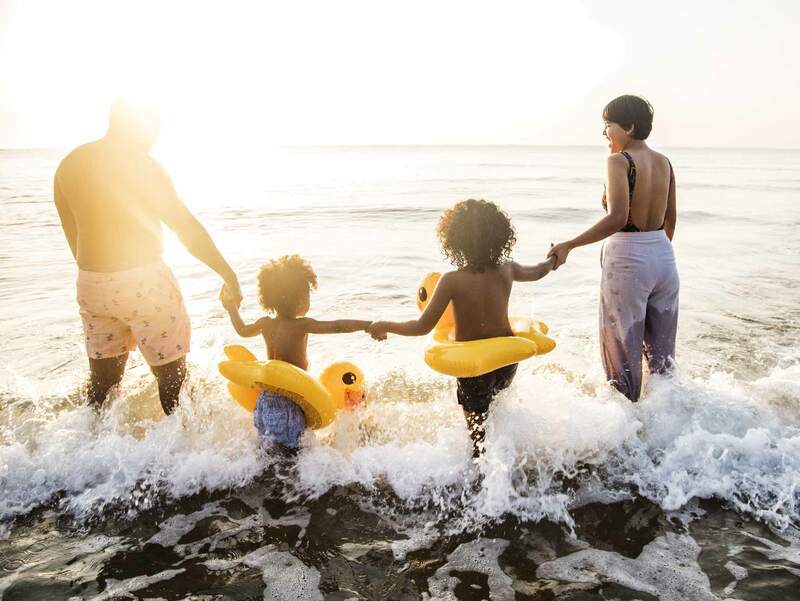 Family holidays are on a high standard here at our Maldives luxury Resort, Amaya Kuda Rah, especially when you stay at our Family Duplex Beach Villa. 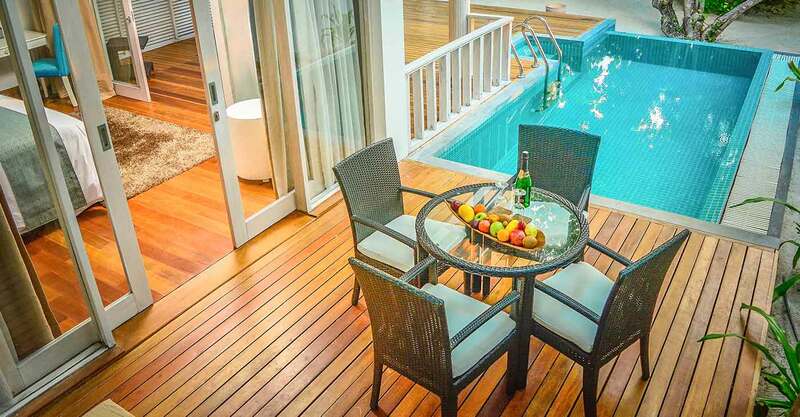 Enjoy the privacy of your own pool, perfect for fits of laughter and endless fun as you and your children revel in luxurious comforts during your stay with us. Strengthen family bonds and get pampered with warm hospitality and tropical treats, guaranteed to make your vacation a memorable one! 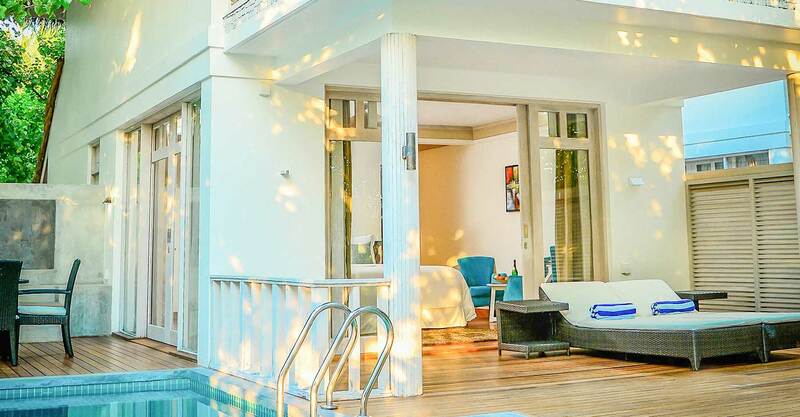 This spacious kid-friendly villa is ideal to comfortably accommodate your whole family during your Maldives family holiday. Featuring a range of modern amenities and facilities to keep your entire family entertained at our family friendly resort in Maldives. 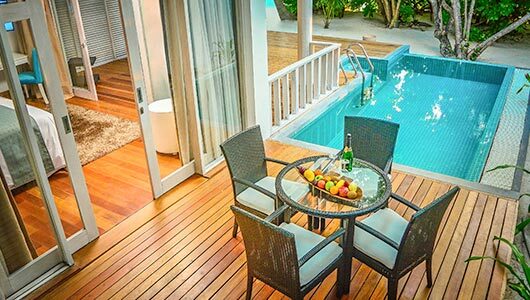 The sophisticated villa is designed to delight guests who desire the highest level of comfort and opulence at a Maldives family resort. 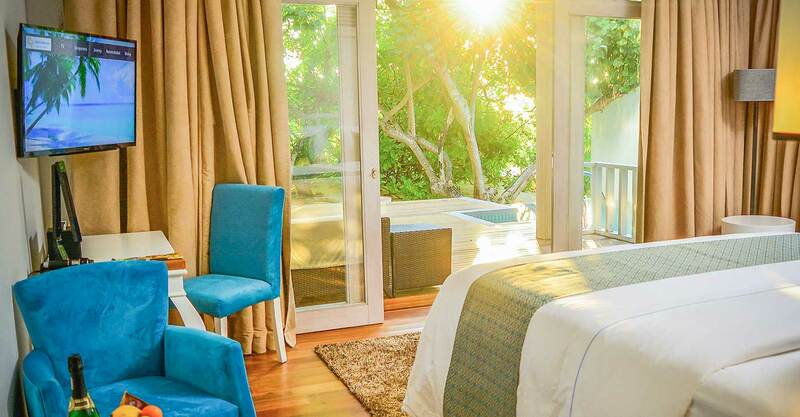 Family Duplex Beach Villa is the perfect accommodation for families. Extra blankets & towels, irons & boards and baby cribs are also available on request and smoking is not allowed in rooms.